I am fundraising to help others. I don't think any child should ever go without clean water to drink. Everyday Canadian's take water for granted when so many children in other Countries go without it. If we all donate a little we can help raise money to build a well. Please help me in goal to raise $4,500.00. 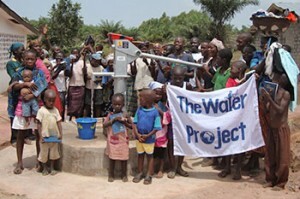 $4,500.00 will fund a well in Africa. My ultimate goal is to raise enough money to fund an entire Water Project.